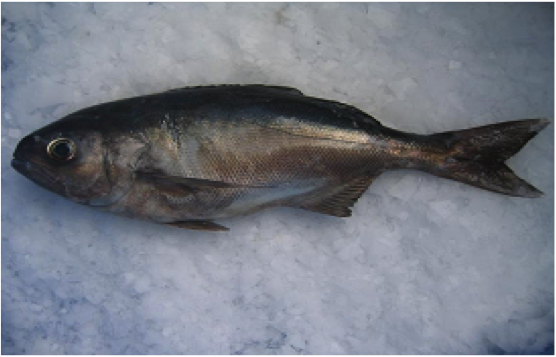 Blue nose (Hyperoglyphe antarctica) | Wildfish Export Ltd.
and upper slope, especially from 100 to 500 metres. Bluenose are caught year-round, mainly by longlining, but also by Trawl around or on offshore reefs, seamounts, or drop-off areas. New Zealand’s Bluenose fishery is sustainably managed by strict quotas, which allow only a set amount of Bluenose to be taken commercially each year. Bluenose flesh is reasonably firm with medium to thick moist flakes and whitens when cooked. Bluenose has good levels of Omega-3. Bluenose can be prepared & cooked using most methods.